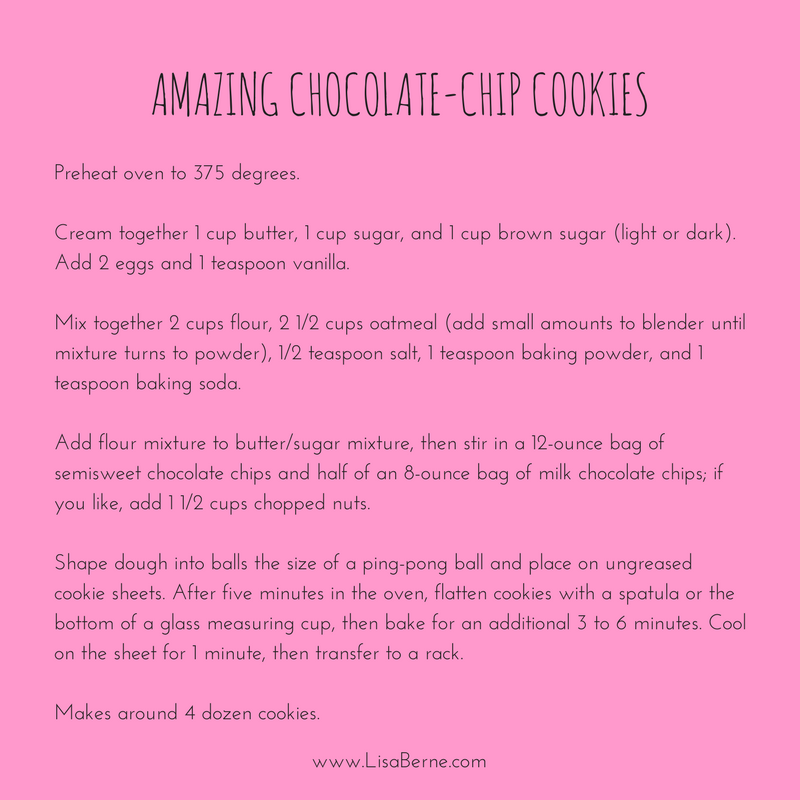 Chocolate chip cookies – yum! On the “About Lisa” section of my website, I mention that I like to bake. And I’m a little braggy about my chocolate-chip cookies. But for good reason, honest! They really are amazing. I thought you might enjoy seeing a photo of the batch I made the other day. I shared the recipe, of course. Here it is also. Enjoy!